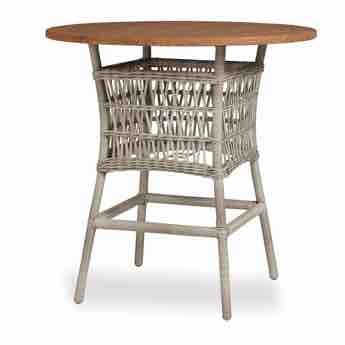 Try this Lloyd Flanders Mackinac 40" outdoor wicker umbrella bar table or a great time. 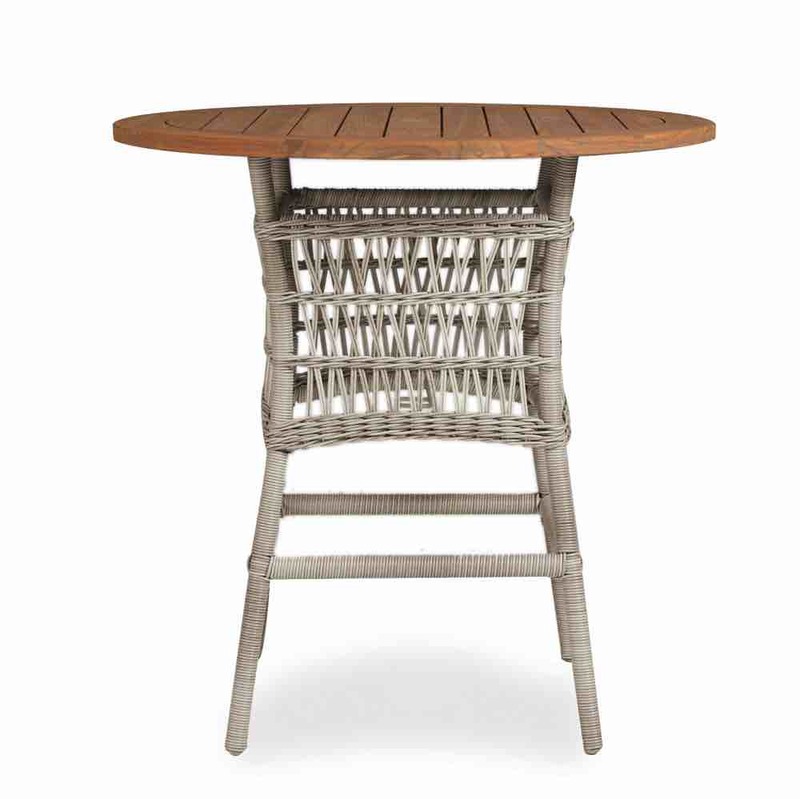 Use this bar table on your patio for a great social center. Bar tables are in right now and this one is the perfect choice. Beautiful open weave wicker base and gorgeous teak wood top. The frame is aluminum and the resin weave is 100% vinyl. By following the care instructions, your wicker furniture will last a very long time while looking and feeling great the whole time.